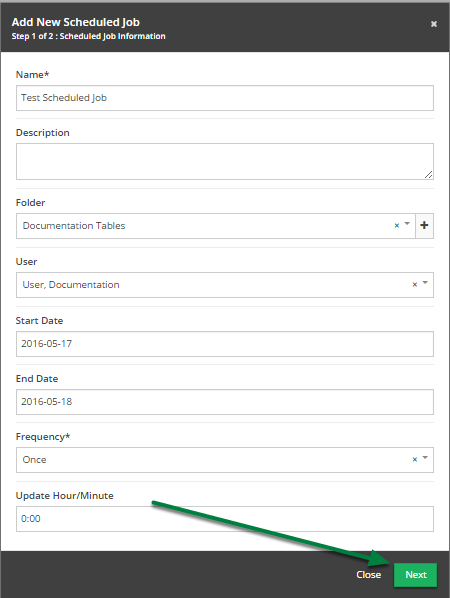 Documentation and SupportReleases Sassafras Release Notes 2016-06-07Add your email to a scheduled job with the click of a button. 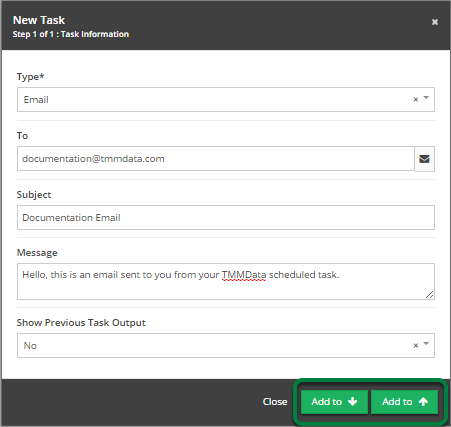 It is now easier to add yourself to an email task in a scheduled job. 1. 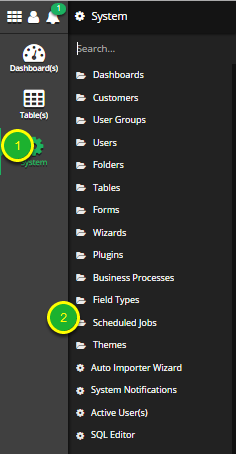 Navigate to the 'Scheduled Jobs' System Tool. Click on the 'System' button. Click on the 'Scheduled Jobs' menu item. 2. 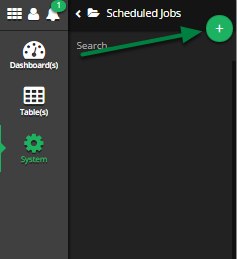 Open the 'Add New Scheduled Job' modal . 3. Fill out the required information in the form and click 'Next'. 4. 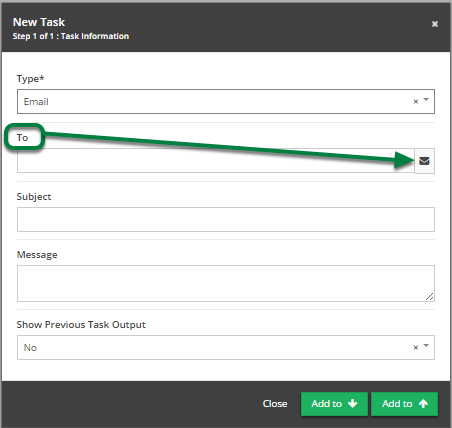 Click the plus button to add a new task. 5. Select 'Email' from the 'Type' drop down. 6. To add your email, click the envelope button. 7. 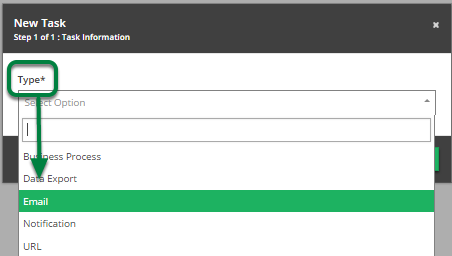 Finish filling out the form and click the appropriate 'Add to' button. 8. Make sure your task is listed and click 'Save' to exit. 9. Every time your scheduled job runs you will receive the email. Prev: Column Auto Mapping is no longer case sensitive. Next: Number of Fields will now be displayed in the 'Edit Table' modal.